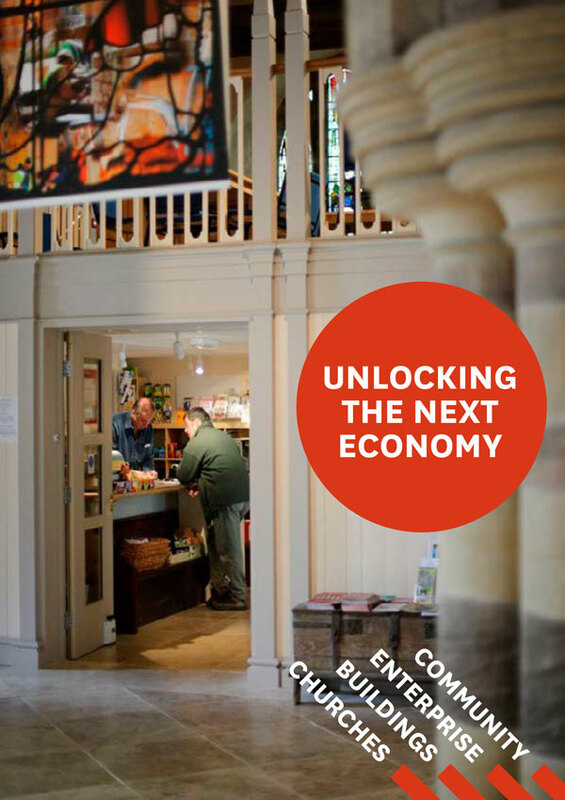 Unlocking the Next Economy is about creating access to the physical assets of historical organisations to support local economic change. Stir To Action’s year-long pilot will explore how these physical assets can be an important part of Community Economic Development (CED), and how un- and underused churches could specifically be a part of this process. In terms of the church, a combination of under-use, high maintenance costs, and a lack of income generation has created an “unaffordable architectural legacy” – according to the Arthur Rank Centre church buildings can “become a stifling burden and a drain on energy and resources.” But these vast swathes of church property, as Rachel Laurence of the New Economics Foundation acknowledges, have largely been neglected by those working in Community Economic Development (at least here in the UK). Alongside this institutional decline has been the significant loss of local services and public utilities in many villages and market towns, where post offices, banks, and food shops have closed. According to the Commission for Rural Communities, “it is estimated that 70% of villages in the UK have no local shop.” And in terms of rural banking services, between 1989 and 2012, 7,500 banks closed in the UK – more than 40% of banks. But is there an institutional appetite within modern churches to uphold their social purpose, meet changing circumstances, and find new ways to engage their communities? Our research shows that churches are already showing a will to engage in new ways of repurposing buildings and land. Church Care, the property division of the Church of England, claim there are at least 35 sub-post office services being delivered from churches, chapels, halls and centres, ensuring communities are able to access local facilities. Where communities have been missed by the national broadband rollout, spires are being used to broadcast wifi, sometimes as co-ops, but often through private suppliers. Churches have also become involved in providing local financial services. In response to Archbishop of Canterbury Justin Welby’s comments on the predatory lending strategies of Wonga, All Saints Church in Murston, Kent, hosted the first community bank to open inside a church. This is a model that could be replicated as a means of localising banking – offering space for regional and local banks – as well as creating new savers and lenders with local investment interests. With the housing crisis affecting both rural and urban areas, community-led initiatives such as community land trusts have become increasingly relevant. These models often refer to parish territories in their activities, such as community consultations and neighbourhood plans, but without the express involvement of the church and its assets. By co-producing with church groups actively participating from the initial stages, this approach can be replicated through our efforts to unlock church assets for new and existing community initiatives. 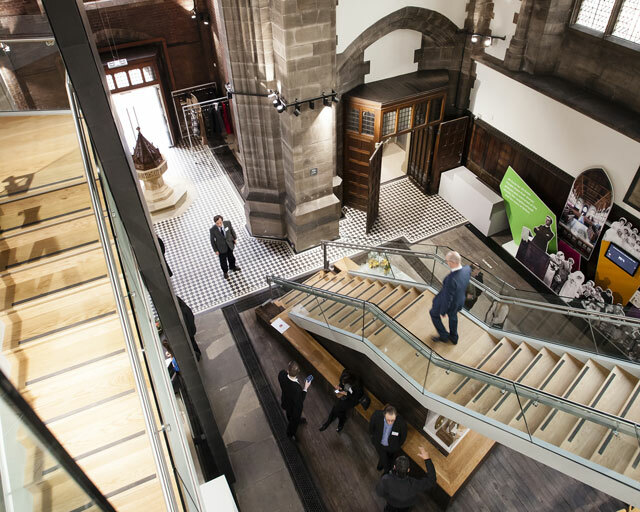 There are many positive examples of repurposed churches, but how can CED inform this process so it’s actually based on community need and ensure local people are involved from the start? Over the last few years we’ve been working with organisations in the creative sector, local authorities, schools, and community groups, exploring how co-operative models can secure local assets, create economic democracy, and ensure these initiatives are based on local needs. An important part of this process is co-production – based on the work and toolkit of social enterprise Learn to lead – that involves stakeholders in the process from the start. Alongside this, our three pilot communities will be supported by external consultants who are able to encourage local communities, import new ideas, facilitate consensus in an often divisive process, and offer the co-operative model as an option in their CED. Our process is primarily about unlocking physical assets to support communities to meet their own needs, not to conserve churches. The only way we’re going to save churches, as Simon Jenkins argues, is by giving them away. If churches survive – architecturally and even as places of worship – it will be because they have become a social resource. Jonny Gordon-Farleigh and Maxwell Jeffery are part of Stir To Action who have recently received support from the Friends Provident Foundation to produce a year-long pilot to repurpose churches for community economic development. If you’re interested in being involved, get in touch.